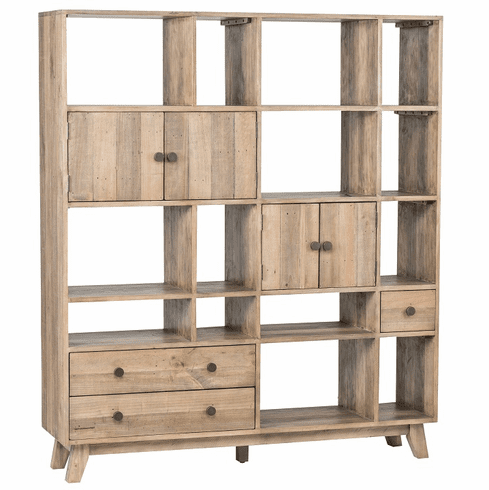 The Sorrento Large Wall Unit bookcase is wonderfully practical and so lovely, you will be glad to show it off in any room. More than a bookcase, this Sorrento Large Wall Unit offers drawers, cupboard, and shelves, all of solid wood. Free shipping to the lower 48 states for Classic Homes orders over $1500! For Classic Homes Furniture orders under $1500, the shipping charges to the lower 48 states for this item is $150. Estimated ship time from order placement is approximately 2-6 weeks. Some in-stock items may ship sooner. Please call for ship quotes to Alaska, Hawaii, or Canada. A 50% deposit is due at time order is placed and balance is collected when item is shipped.